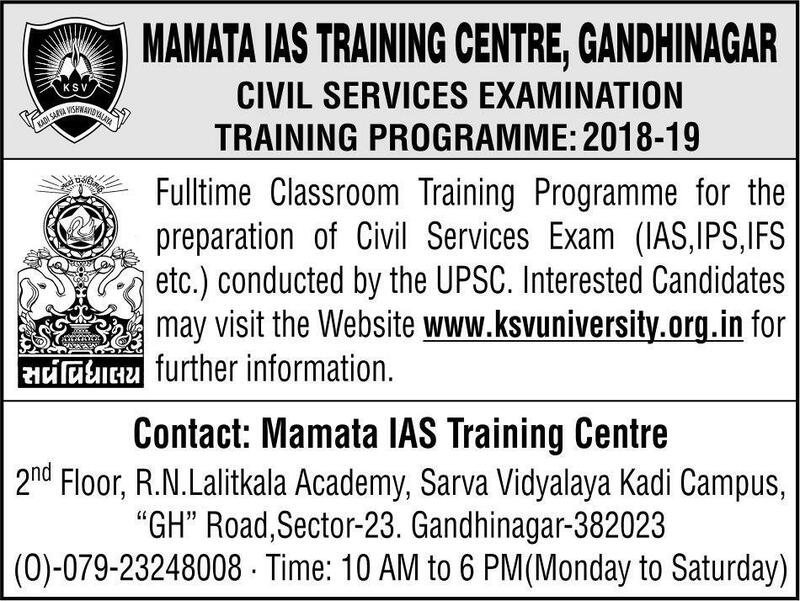 Mamta IAS Training Center, Gandhinagar has published Entrance Exam Notification for Union Public Service Commission (UPSC) Civil Services Training. Check below for more details. Selection Process: Candidates will be selected based on Written exam, Essay Test & Interview.